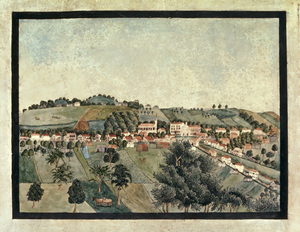 The years following the American Revolution were noted for a national impulse to establish grammar schools for young children, and academies for those considering college. 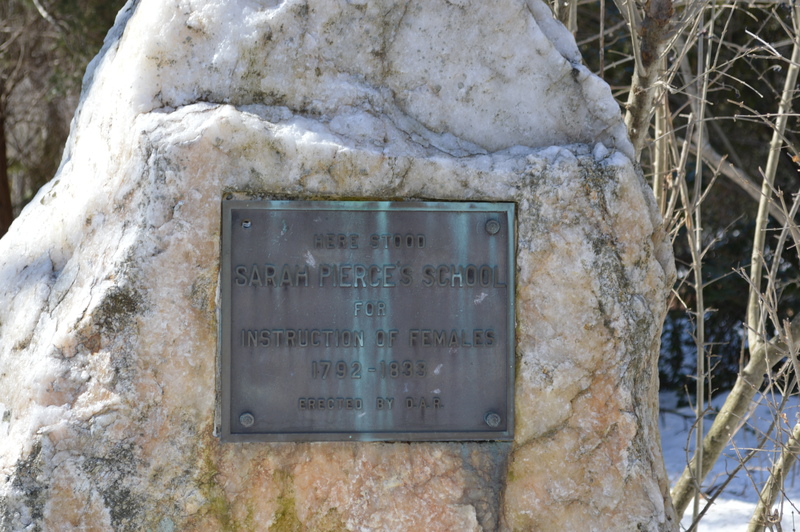 While there were several academies for girls operating in the county, none was more influential or noted than Sarah Pierce’s Litchfield Female Academy. Pierce was born in Litchfield in 1767. She never married and instead dedicated her life to educating young women. Pierce’s father died when Sarah was 16, and her brother, John Pierce, Jr., invested in an education for her sister in the hopes that she would become a teacher and support herself. The first classes were held in the dining room of the Pierce home. 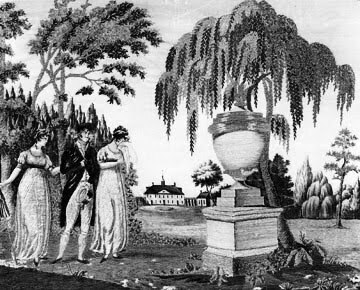 By 1798, Pierce had termed her school the Female Academy and began a subscription list to build a structure, which by 1803 was erected at a site on North Street indicated today by a stone marker. 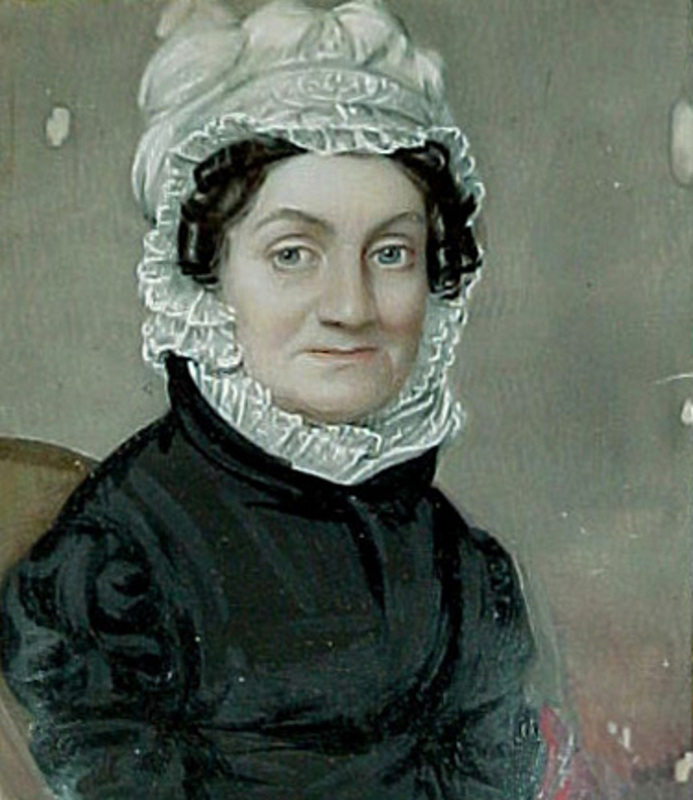 Here young women were introduced to Pierce’s revolutionary ideas about education – namely, that girls should be taught what boys were, including geography and history. Pierce went so far as to write her own histories when she couldn’t find suitable texts. 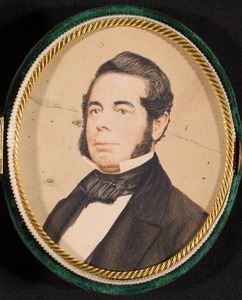 At the turn of the 19th century, so many students were coming in such large numbers – 130 in one year along – that Pierce needed to hire additional teachers. The subjects they were responsible for grew to include chemistry, astronomy, and botany. Academic pursuits were balanced with artistic endeavors including music, dancing, singing, embroidery, drawing, and painting. Connecticut tercentennial sign on North Street. Arose about half past five, took a walk with Miss Adams to Mr. Smith’s to speak for an embroidering frame. After breakfast went to school. I heard the Ladies read history, studied a Geography lesson and recited it. In the afternoon I drew read and spelt. After my return home my employment was writing and studying I spent the evening with Mrs. Adams and retired to rest about half past nine o’Clock. 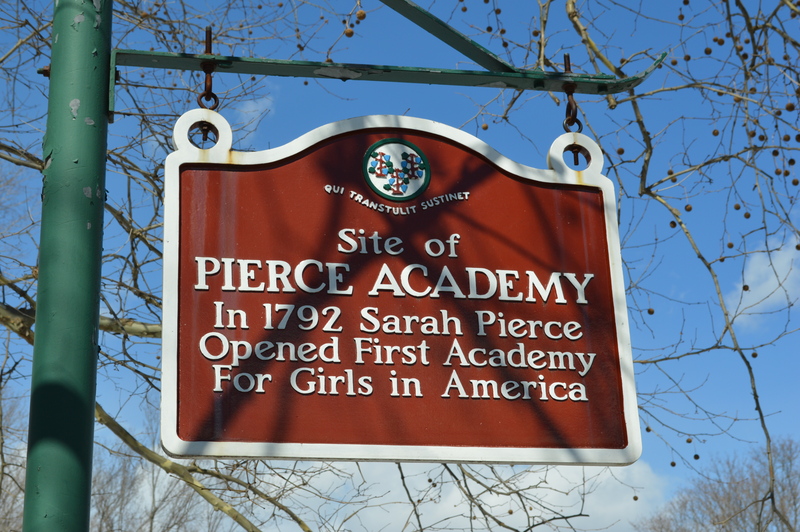 Over 3,000 young women – and about 120 young men – were educated at Pierce’s school before it closed in 1833. 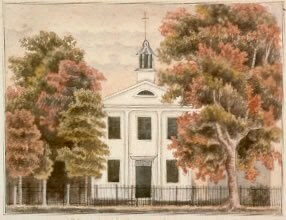 Their intellectual, social, and artistic abilities helped make Litchfield one of early 19th century America’s most cosmopolitan towns. This entry was posted in Architecture, Education, History and tagged education, Litchfield, Litchfield Female Academy, Sarah Pierce, schools by pvermily. Bookmark the permalink. Pete, I enjoy reading all of your articles. Thank you! Thanks for reading, Alison. 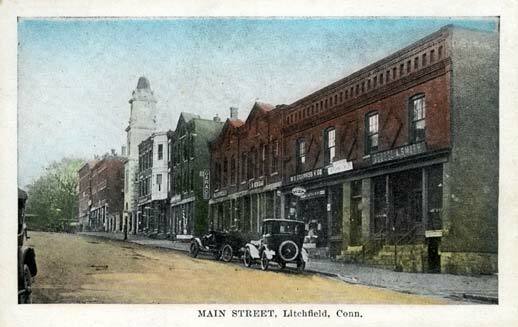 And thanks to your family for making a fabulous donation to the Litchfield Historical Society.